The Trump administration may increase the number of U.S. troops in Afghanistan. This week, Defense Secretary James Mattis was granted authority to set those troop levels. Asked about Mattis' new authority, retired four-star Gen. Stanley McChrystal, who commanded American and international forces in Afghanistan in 2009-2010, said it's "a good thing to empower subordinates who are closest to the problem to make decisions." 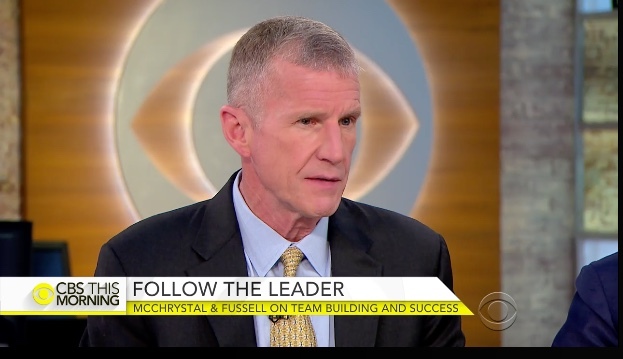 "But you don't abrogate responsibility," McChrystal said Thursday on "CBS This Morning." "So the president of the United States still has responsibility for those decisions, and the American people ultimately still have ownership of those decisions. … They may not agree going in, but when the policy is set, we all have the resolve to follow through." McChrystal also said "it's hard to say" what the appropriate number of troops should be in Afghanistan, where the Taliban has once again been gaining ground. "I'd certainly defer to what Jim Mattis and [Gen.] Mick Nicholson on the ground are recommending," McChrystal said. "But the question I think we need to ask ourselves is, if we send more troops and that doesn't solve the problem or make the change we hope, what will we do then? And that's a question that the nation needs to ask itself about its long-term aims and objectives in Afghanistan and what we're willing to devote to achieve it." McChrystal served as commander of the Joint Special Operations Command and was tasked with re-imagining the battlefields of the Middle East. McChrystal outlined how he did it in his 2015 bestseller, "Team of Teams: New Rules of Engagement for a Complex World."